So many schools see bullying as a behavior in need of being stopped. We disagree. We are not disagreeing because that first sentence here is wrong. We are disagreeing because that first sentence is incomplete. 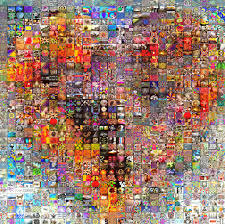 If our primary task is to stop bullying behavior, we fail to look more deeply into the human heart. Those who bully have a story to tell and in the vast majority of cases, those who bully have been bullied….by someone…..at some time. And the angers are unseen and unattended by others. Those who bully usually suffer in silence and the more this happens, the more the rage inside builds, spilling over to innocent others who now are the recipients of that rage. As we fail to understand this, and as we continue to try restraining the bullying behavior without seeing and acknowledging the wounds in those who bully, we fail to address the situation properly. Thus, there are attacks and wounds and cycles that seem never to end. As we restrain bullying behavior, we have an obligation to see the wounds within those who bully…and to try to help them bind up those wounds through forgiving. As we fail to see this, we are not stopping bullying. Instead, we are inadvertently allowing a wounded heart to become a resentful heart which becomes a heart that wants to hurt others….no matter how much we try to constrain this. We need forgiveness education for those who bully……now. In our Store section is an anti-bullying curriculum that provides this broader perspective on a world-wide problem. Take a look. Your actions in helping those who bully could save lives. Don’t miss this upcoming conference, “Voices for Peace and Justice in the Holy Land” – November 7-8, at the Pyle Center, 702 Langdon Street, Madison, WI. Hear stories and perspectives of Christian, Muslim, Jewish, and secular writers and activists concerned with peace and justice in Palestine/Israel. Learn ways to work for justice and peace here in the United States, and meet others who share your interest. Sponsored by Friends of Sabeel North America, this event begins with registration at 12:00 noon on Friday, Nov. 7 and runs through 5pm Saturday. There will be plenaries and workshops throughout each day. On Friday evening enjoy a Palestinian dinner and cultural program of poetry and Debke folk dancing. The cost of this event is $85 (full conference) or $50 (for one day). Online registration is available here, or print a pdf registration form to mail in. For more information, visit https://fosnamadisonconference2014.wordpress.com. Friends of Sabeel – North America (FOSNA) is a non-profit, tax-exempt Christian ecumenical organization seeking justice and peace in the Holy Land through non-violence and education. Sabeel, which means “the way” in Arabic, is an international peace movement initiated by Palestinian Christians, who seek a just peace through theological and moral principles and adherence to international law and existing United Nations resolutions. You can learn more about FOSNA and Sabeel at www.fosna.org. 5 EYEWITNESS NEWS/KSTP-TV, Saint Paul, MN – By now you know the story. Malaysia Airlines Flight 17 crashed near the village of Hrabove, Donetsk region, eastern Ukraine, on Thursday, July 17, 2014. 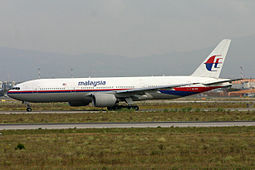 All 298 people aboard the Amsterdam-to-Kuala Lumpur flight died making it the deadliest airliner shootdown in history. The Boeing 777 plunged out of the sky over territory held by pro-Russian rebels in Ukraine. According to a report by the Dutch Safety Board (193 of those killed were Dutch citizens), the plane was likely struck by multiple “high-energy objects from outside the aircraft,” causing it to break up over eastern Ukraine. For Drew Ryder of Willmar, MN, that Thursday started out as just another typical day at the office–until his phone rang about 10 a.m. It was Ryder’s uncle calling from Amsterdam “totally distraught” saying he had terrible news: Ryder’s brother, Arjen, and sister-in-law, Yvonne, were on Malaysian Airlines Flight 17. Ryder says he found the news difficult to process, especially as the days wore on and evidence mounted that a deliberate missile attack brought the plane down. Even so, Ryder says his faith has prevented him from participating in the hatred responsible for the attack. 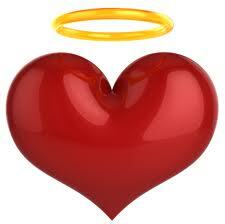 A close friend asked one of us, “What is a good heart?” We never had been asked this before. Our response is below. What is your response? A good heart first has suffered. In the suffering, the person knows that all on this planet are subjected to suffering and so his heart is compassionate, patient, supportive, and loving as best he can in this fallen world. The good heart is forgiving, ever forgiving, vigilant in forgiving. The good heart tries to be in service to others. The good heart is no longer afraid of suffering and has joy because of the suffering, not in spite of it. Having suffered and having passed through suffering, the good heart dances. Others do not understand the good, joyous heart. Yet, the one with the good heart does not compromise the goodness and the joy. It is like a valuable gift received and she knows it. Might tolerance be a better approach than forgiveness? I say this because forgiveness might draw us too close to someone who is not in our best interest. Tolerance allows us to keep a certain and safe distance. Tolerance will not change the world; love will. As you make a distinction between forgiveness-as-love and reconciliation (two or more people coming together again in mutual trust), do you see that you can and should keep yourself safe as you forgive? A friend told me that self-forgiveness is a way to rationalize bad behavior so that you can keep doing it. Is she correct? Some people consider self-forgiveness to be inappropriate because one cannot judge one’s own actions in an objective way (we are biased and too self-interested to get it right, in other words). Yet, even if we cannot see our own actions with complete clarity, we do have a conscience that assists us. Thus, we can assess our actions and words as right or wrong. When we self-forgive in an accurate way, we see that we have done wrong to self and others and do what we can to change. In other words, to self-forgive is not only to love oneself after not feeling so loving (toward the self) but also to make amends for the damage the self-forgiver caused to other people. Thus, self-forgiveness, when understood and practiced properly, is not a trick one plays on oneself to keep going with the behavior (which conscience tells us is unacceptable). 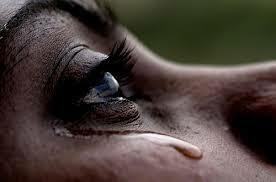 Sometimes when we are caught up in grief and anger, it seems like this is all there will ever be now in our life. Yet, please take a look at two different times in your life in which you were steeped in heartache or rage. The tears came…..and they left. Today it may seem like these will never end…..but they will. Take a lesson from your own past. The pains were temporary. They are temporary even now. Forgiveness helps them to be temporary.